Let's face it: narwhals are weird. What is a narwhal, anyway? It's like a unicorn mixed with a whale, right? Like the similarly bizarre duck-billed platypus, narwhals appear to be some kind of odd hiccup of evolution, like something went terribly wrong, and boom: narwhals. In fact, a shocking number of people don't even think they're real! Why the confusion? Here are some quick narwhal facts that help explain why people can't believe these crazy beasts exist: the giant "horn" looks just like the classic idea of what a unicorn's horn looks like, you can't find narwhals at any aquariums or zoos, and they live in some of the coldest, most remote places on earth. That's why people think they're fake. So what are narwhal horns made of? The "horn" is actually a tooth, so... tooth stuff. 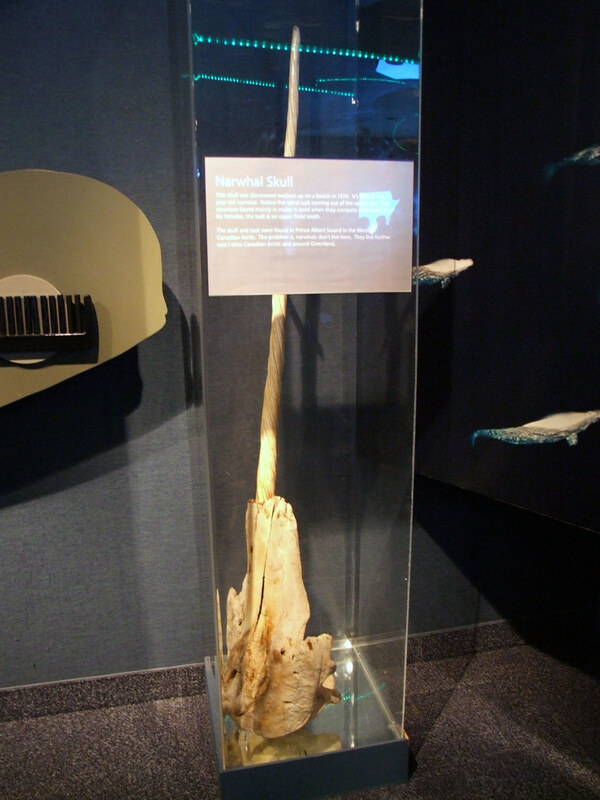 Narwhal tusks are actually inside-out, with the hardest layers on the inside and the softest on the outside. That's the opposite of how human teeth are formed. As for the unicorn confusion, that stems from Vikings selling narwhal horns as "unicorn horns" to gullible medieval Europeans. Read on for more facts about narwhals that will help clear things up. Spread the word: they're real! Let's get one thing out of the way: narwhals totally exist. Unicorns totally don't. Got it? But the existence of narwhals made people think for a long time that unicorns did, in fact, exist. Why? Well, medieval Europeans didn't exactly have regular access to narwhals. Narwhals live in cold, remote locations, so only Vikings and traders knew about them. This made it easy for merchants to dupe people into thinking they were buying a "genuine" unicorn horn. It's no coincidence that early depictions of unicorn horns look just like narwhal tusks, down to the distinctive spiral. There's a darn good reason scientists don't know much about narwhals: you can't capture them! Well, you can, but they die pretty quickly in captivity, so the whole enterprise is just cruel and useless. Narwhals can't handle the stress of captivity - the acidity and carbon dioxide levels in their blood fall and oxygen levels rise when they are captured. If narwhals are not returned to the ocean, their acidity, carbon dioxide, and oxygen levels never return to normal and they die. Outside of captivity, narwhals can live to be 100, but if you put them in a tank, they don't last (the narwhal's cousin, the beluga whale, however, thrives in captivity). So if you want to see a narwhal in real life, don't bother looking at an aquarium: there are currently no captive narwhals, and there likely won't ever be. 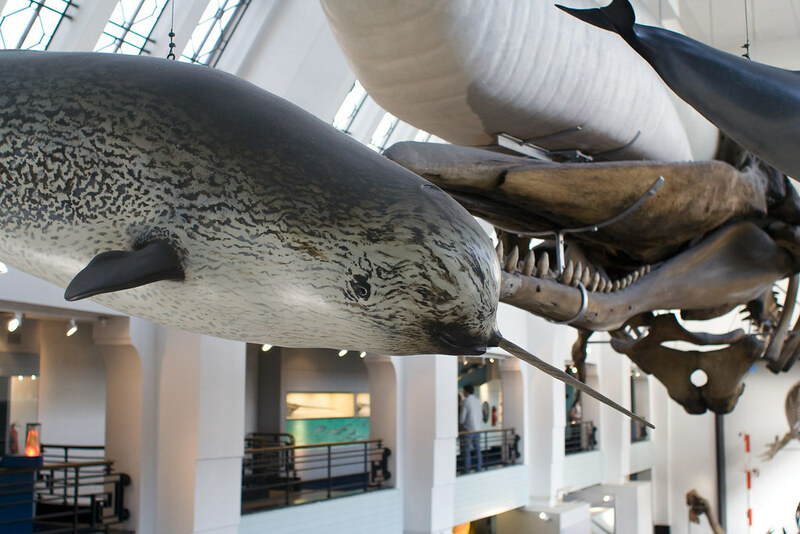 When you think of narwhals, you think of their massive tusks, right? But did you know that some narwhals are tuskless? Scientists aren't quite sure why, which makes trying to figure out what the tusk is used for even more difficult. If the tusk were essential for survival, wouldn't they all have them? And why do female narwhals - of which only 3 percent have tusks - live longer than the males? Most male narwhals (and 3 percent of females) have one giant nine-foot-long tusk - which is actually a left canine tooth - sticking out of their mouths. That's pretty weird, eh? What's weirder is that the right canine tooth usually doesn't stick out, but instead remains embedded in the narwhal's skull. 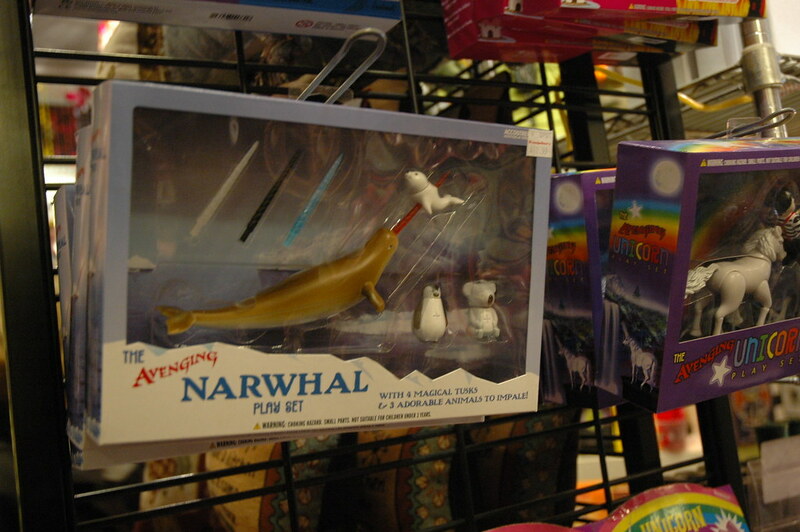 When it does stick out, however, you get a rare two-tusked narwhal.